What is Wake Foot Sanctuary? Wake Foot Sanctuary is a shared foot soak experience where guests relax on plush chairs. 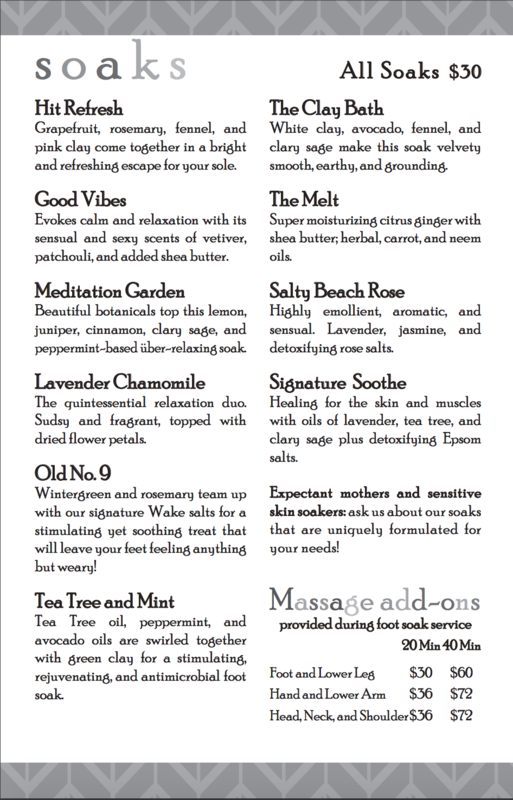 They are guided into an indulgent foot soak for a mini escape with a lasting impression. The guest experience is centered around our luxurious, handmade foot soaks. Guests often further indulge by adding on our signature massages. Walk-ins welcome when space is available.